Ladbrokes and Coral say they have found counteracting measures for the proposed wagers cuts for the UK and Irish racing industries. In a recent announcement, the company said it would extend its best odds guarantee on racing for all over-the-counter bets starting January 14. However, the guarantee applies only to the first £100 of a particular wager. Customers of both companies with either the Ladbrokes Grid or Coral Connect card can take advantage of the guarantee. “This is the biggest racing offer ever to hit the high street, and is a clear signal of our intent as we face up to a new era for betting shops from April 1,” said Ladbrokes Coral’s PR director, Simon Clare. UK bookmakers may witness a drop in revenue from April 1 due to the government-enforced reduction of maximum bets from £100 to £2 at fixed-odds betting terminal (FOBT). According to GVC Holdings, owners of Ladbrokes and Coral, the move may force them to close as many as 1000 of their shops. “There is no question that a seismic change in our betting shop business is going to occur when the FOBT stake restrictions come into force, but we are now taking pre-emptive action with the launch of this significant betting shop offer, which will boost our horse racing business and also our betting shop footfall as we prepare for the challenge ahead,” Clare said. 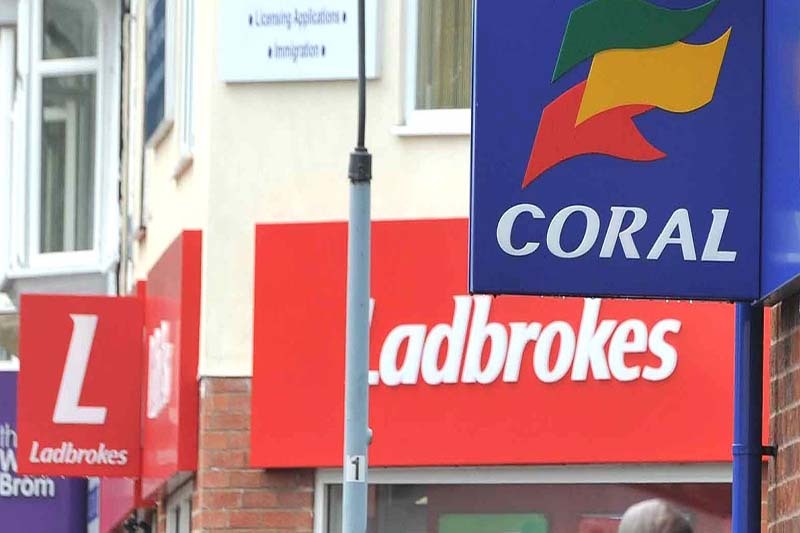 Both Ladbrokes and Coral are expected to inject resources into their marketing programs to ensure information on their new guarantee trickles down to the customers. “While betting shops will inevitably close as a result of the changes to FOBT stakes, there is a huge opportunity to re-energize and refocus all those that remain to become ever more vibrant,” Clare added.